Change is the keyword. Volume, velocity and variety of data are changing. Time slot that act as your window of opportunity to deliver something new is getting ever narrower. There is also bright side of this change. You just need to find it for your business and change yourself to be able to utilize it. There will be more data every day that is obvious. The real question is how to identify the data that is boosting your business and leading it into right track. You can always choose which part of available data you are using, but be cautious: if you don’t change your thinking, you might end up with choosing same things as earlier and nothing changes. So you need a strategy: what are your potential data sources and how those contribute to your selected business need. More is not always better. Especially if it makes it harder to change data into insight. You need capability to analyze and test different data sets to figure out their relevance and of course capability to handle huge volumes. Handling large data might be easier and more cost efficient to do in cloud, if your data and regulative situation allows that. Your data, your partners/vendors data and your customer’s data. More dimensions you get better visibility and reliability to create for your insight. Depending on your area of business you can have many new sources of data varying from IoT, mobile device or internet data to structured data sets purchased or created by CRM or maybe from your own loyalty programs. From technology point of view this means that you need capability to plug in different sources and you need to be able to handle wide variety of unstructured and structured data. Data is also a living thing. Old data is dead no matter how big it is. You need to be able to keep it fresh while maintaining enough history. Smoother you can do this, more competitive advantage data potentially gives to you. If you are capable of doing the above mentioned things, you might already realize that someone else could do that too. With technology currently available complemented with cloud, barrier of entry into data areas has diminished significantly. You don’t need large investments, earlier afforded only by large enterprises, to do the trick. Also data sources are easier to access thanks to open data initiatives as well as commercial data providers. You can also turn this to your advantage because this cost reduction opportunity applies also to your company. It is much easier to test drive different approaches with reasonable cost, naturally if your company culture has reached level where failing fast is also allowed. You need new tools, traditional tools won’t stretch to this or become ridiculously expensive. You need new data and you need to keep it fresh. Probably your existing data does not have the velocity and variety needed or if it does now it will lack it tomorrow. You need capability to capture new data streams. Plugin in cannot become the bottleneck so keep your eyes on this too. Doesn’t sound too much, but I believe that this is big change for many existing corporations. Excellent opportunity to those who can take the heat and reinnovate their technology without carrying too much legacy with them. Legacy in respect of both technology and thinking. 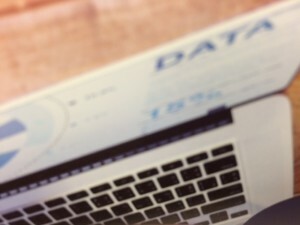 Next Next post: Big data – what will it do to your competences?